It’s really quite remarkable how despite the fact that the paleo diet and vegan diets have so many major differences, they still do share quite an awful lot in common. They both place an emphasis on not eating refined, processed junk foods and instead focusing more on eating all natural whole foods. 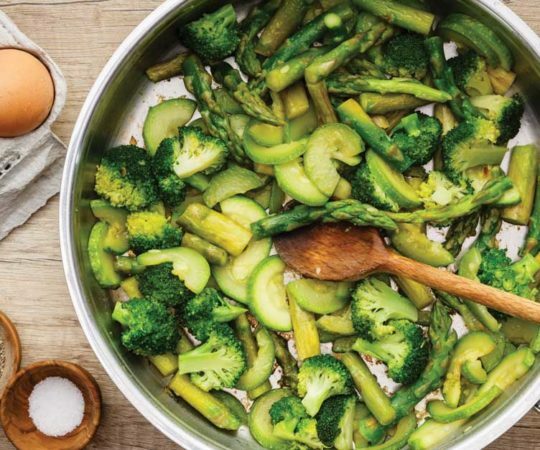 And while paleo enthusiasts are well aware of the importance of protein and healthy fat sources while on their diet, they should also be including plenty of healthy fruits and vegetables. 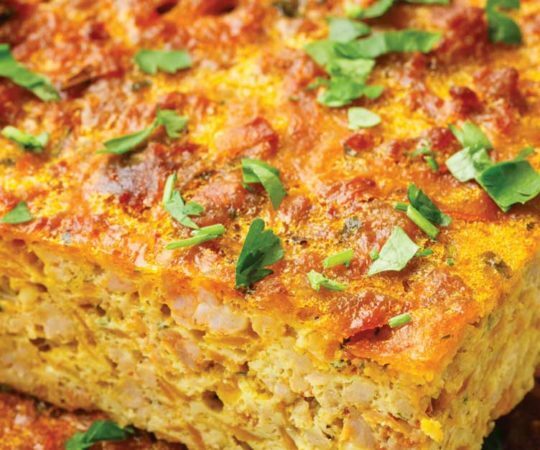 So with that in mind, I wanted to share this paleo style vegan breakfast casserole recipe. It’s a delicious breakfast meal option that’s 100% paleo friendly while also being totally appropriate for anyone who is vegan. 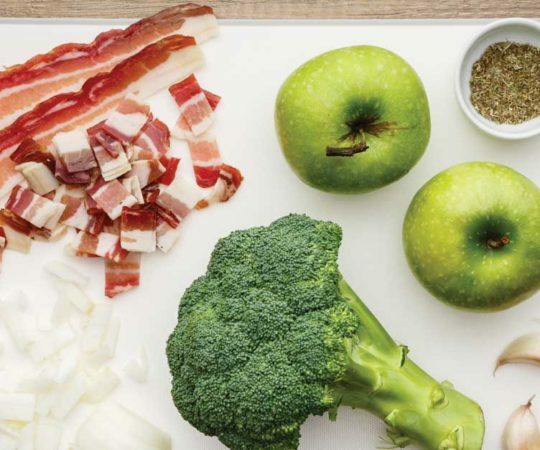 Next up, you’re going to want to get a bowl and add your Granny Smith apples, coconut oil, maple syrup, lemon juice, lemon zest, and cranberries. 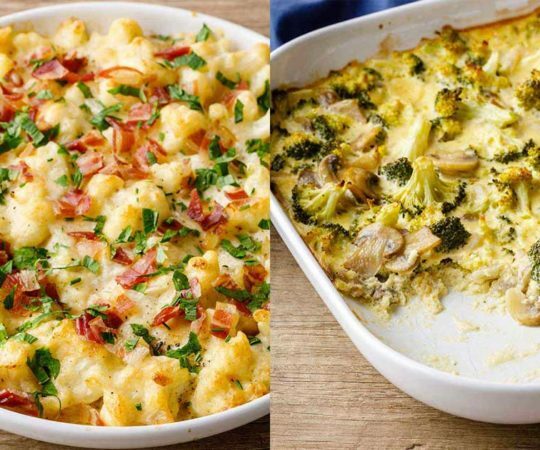 As you can see, there’s quite a variety of tasting ingredients going into this casserole that all work in synergy to really up the nutritional value on offer. 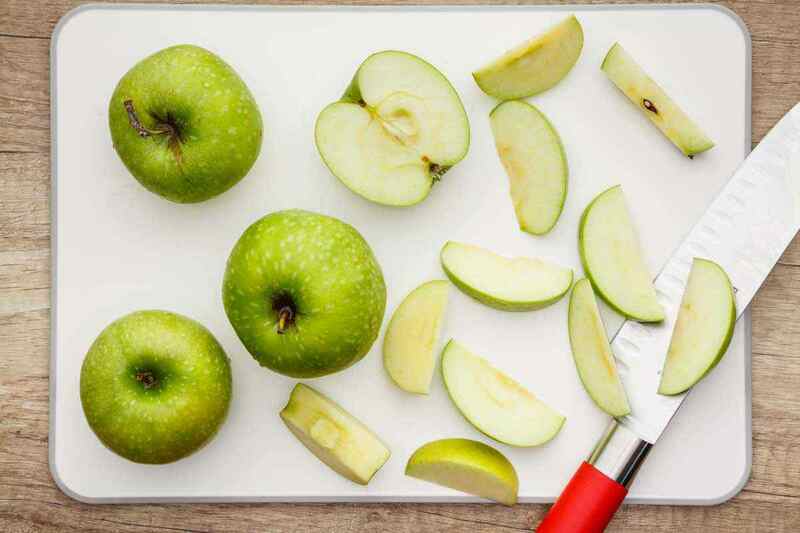 The apples are an excellent source of vitamin C and dietary fiber. 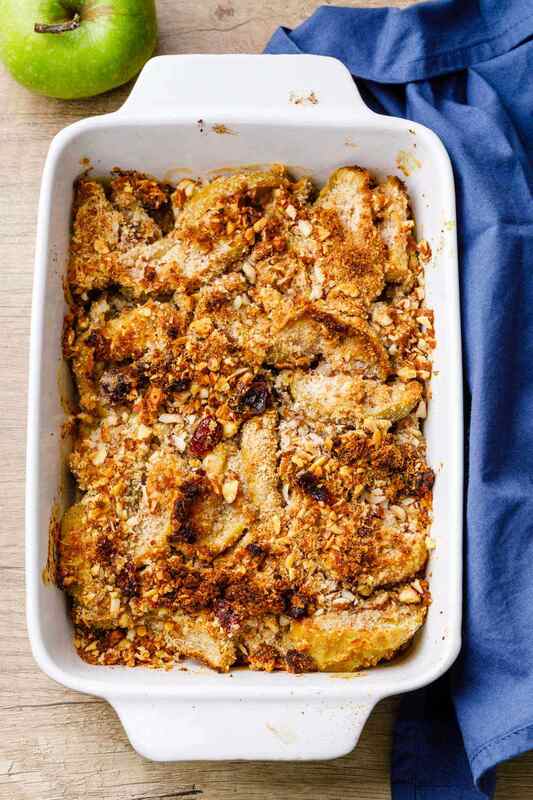 The lemon juice and lemon zest both add a slightly tangy taste to the casserole, which helps to balance out the sweet and spicy flavor from the apples and maple syrup. The cranberries add even more nutrients, including vitamins A, C, and K, along with more beneficial antioxidants. 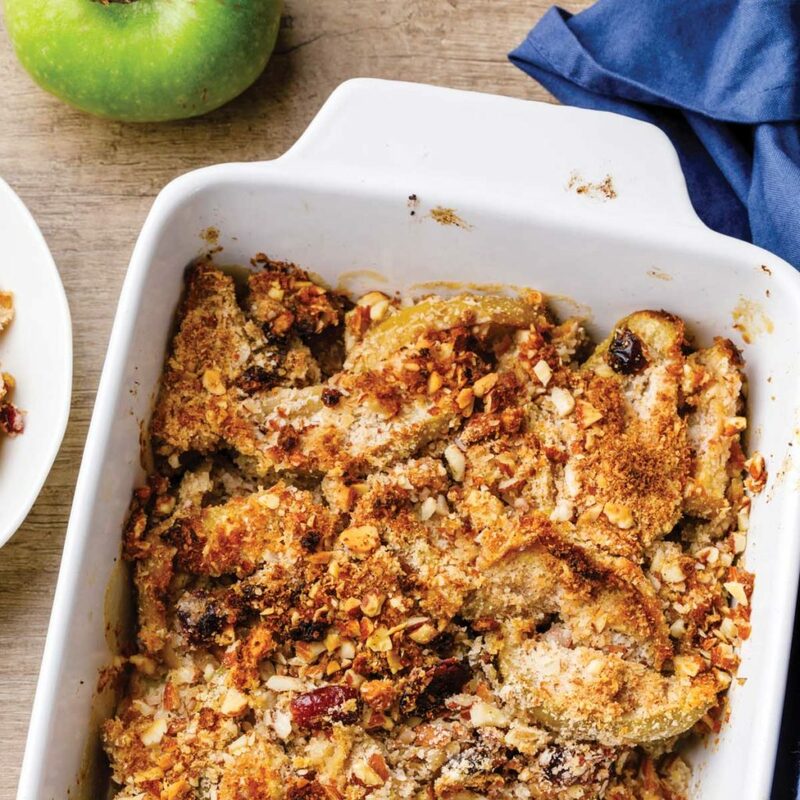 After you combine your almond mixture with the apple mixture, transfer it all into a baking dish and put it in the oven for 30-35 minutes. 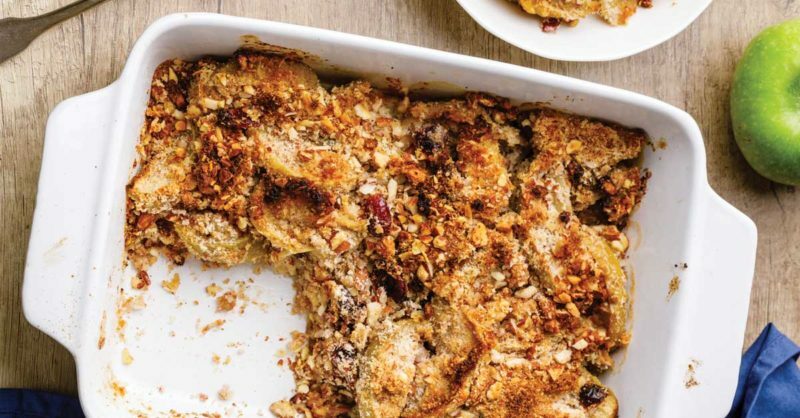 Even people who aren’t vegan will go absolutely nuts for this vegan casserole dish — it’s really that good. 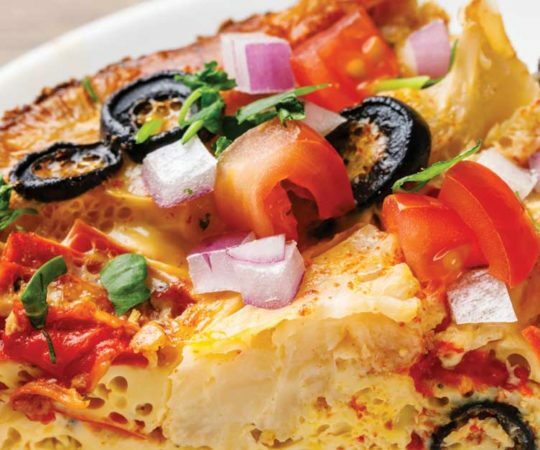 The combination of ingredients used in this recipe all combine to make one delicious casserole that doesn’t need to rely on eggs, meat, or anything else to stand out. 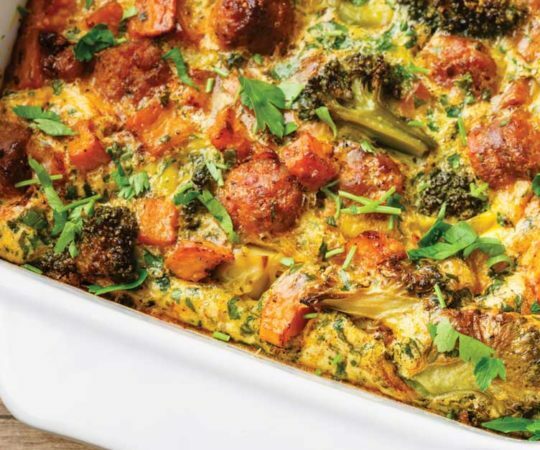 Even if you regularly breakfast casseroles made with sausage and eggs, you just might be surprised with how good this recipe is. 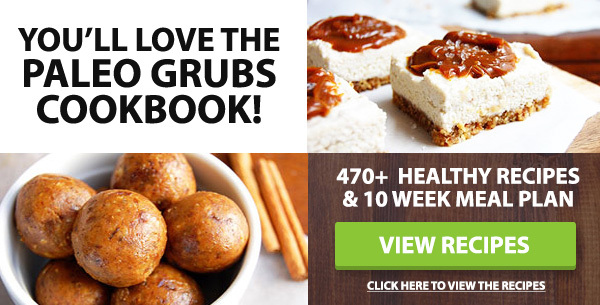 If you aren’t overly concerned with keeping your recipes strictly vegan, then I also have a few other great paleo friendly casserole recipes that I can recommend. The first one is for a sweet potato casserole that your Grandma would definitely approve of. And let’s not forget this easy and budget friendly eggplant beef casserole. And for something that’s truly decadent, check out this awesome blueberry French toast casserole — it’s just as delicious as it sounds! 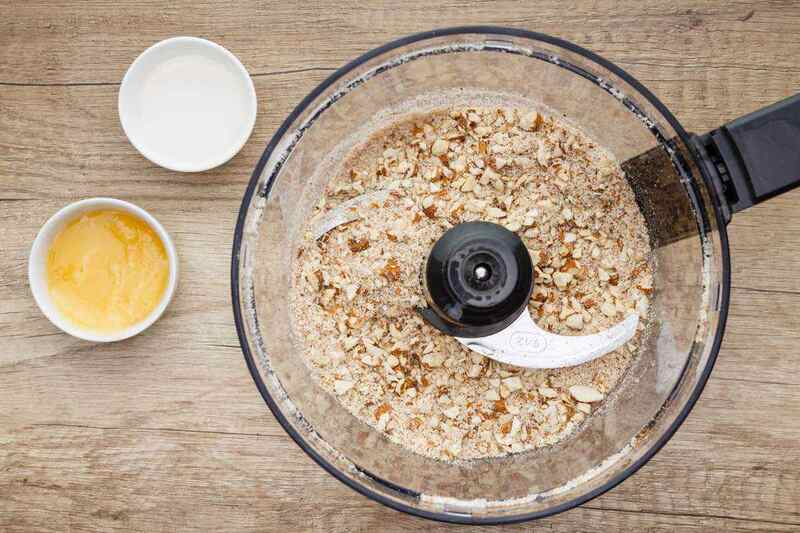 In a food processor place the almonds, shredded coconut, coconut flour, cinnamon, nutmeg and salt. Pulse a few times until the almond are coarsely chopped. In a bowl place the apples, coconut oil, maple syrup, lemon juice, lemon zest and cranberries. Add the almond mixture and toss to combine. Transfer into a lightly greased baking dish. Bake in preheated oven for 30-35 minutes or until apples are cooked.